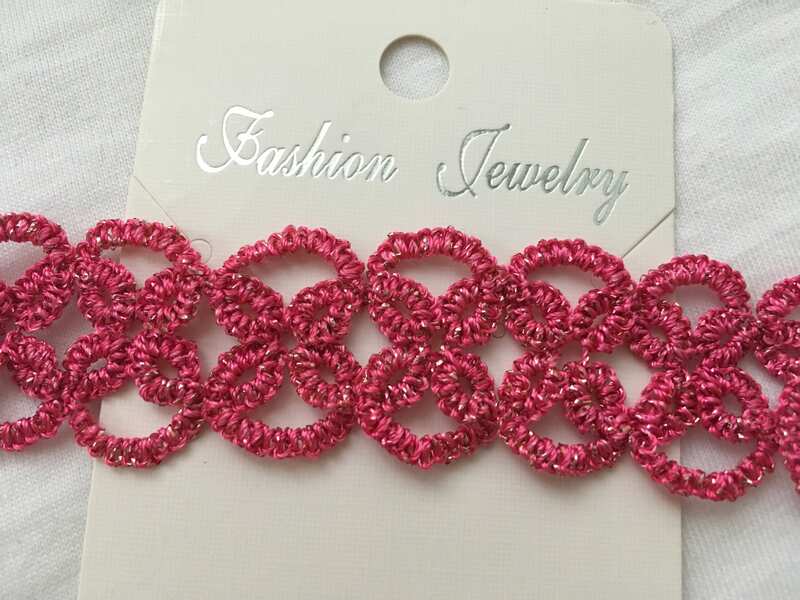 Elegant tatted bracelet from quality polyester and metalic tread. 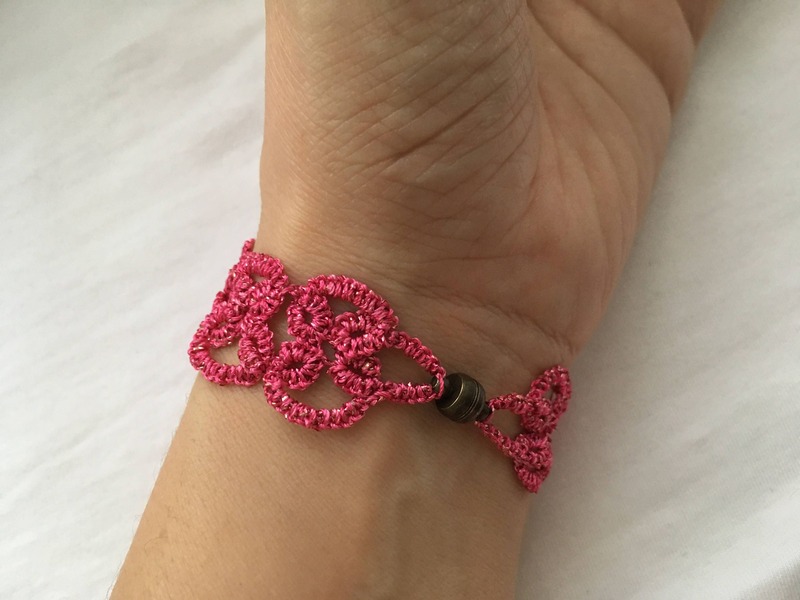 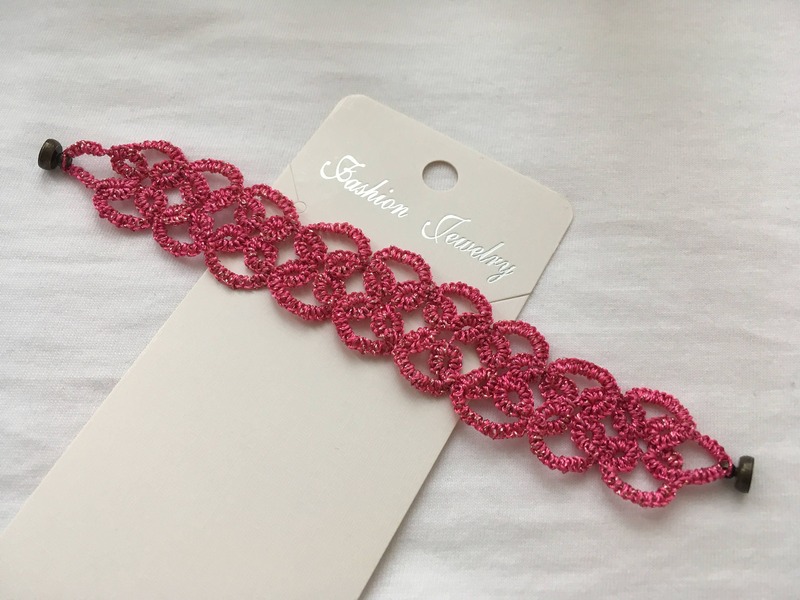 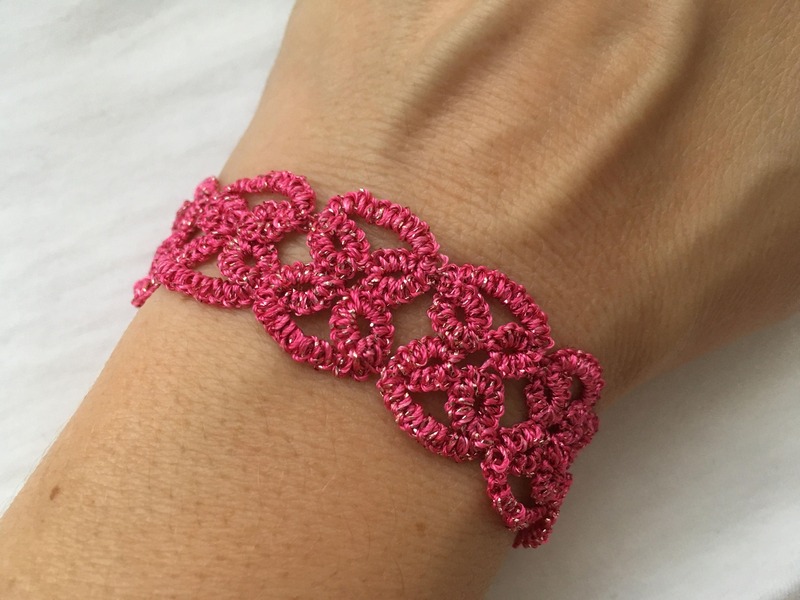 Tatting is a knotted lace technique that is very durable and delicate in appeal. 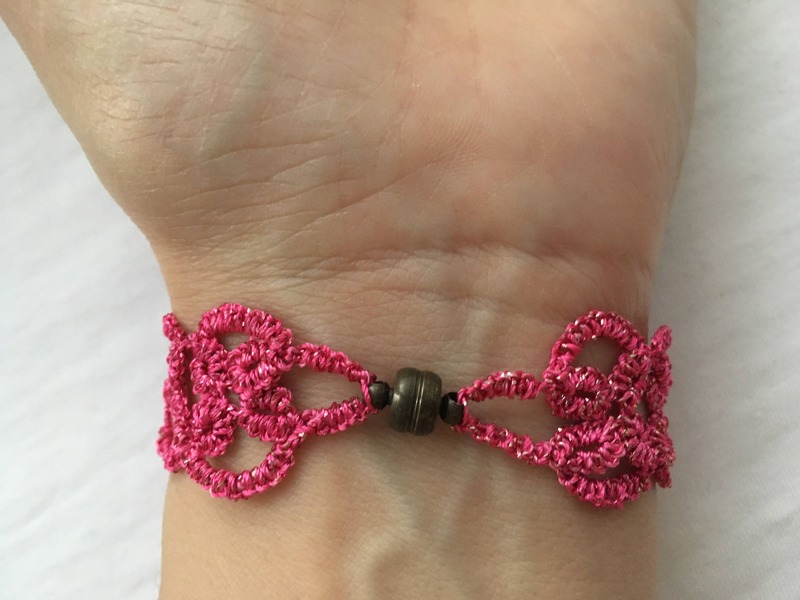 Hundreds of knots are tied to form rings and chains.